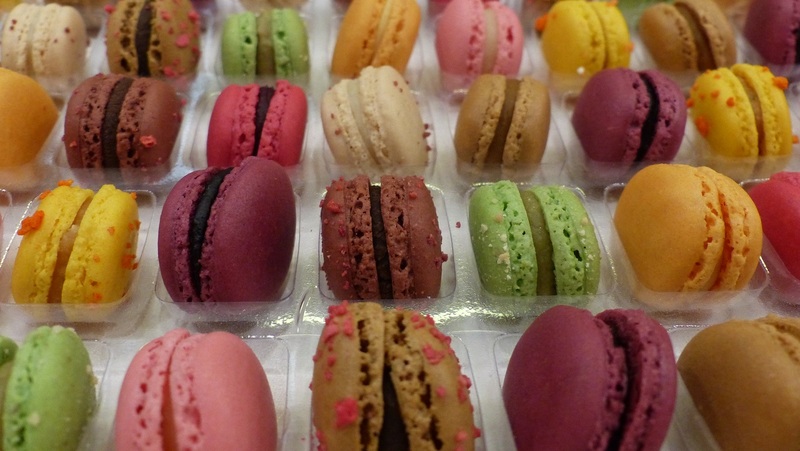 Lyon FOOD Tour offers a unique gastronomy experience. 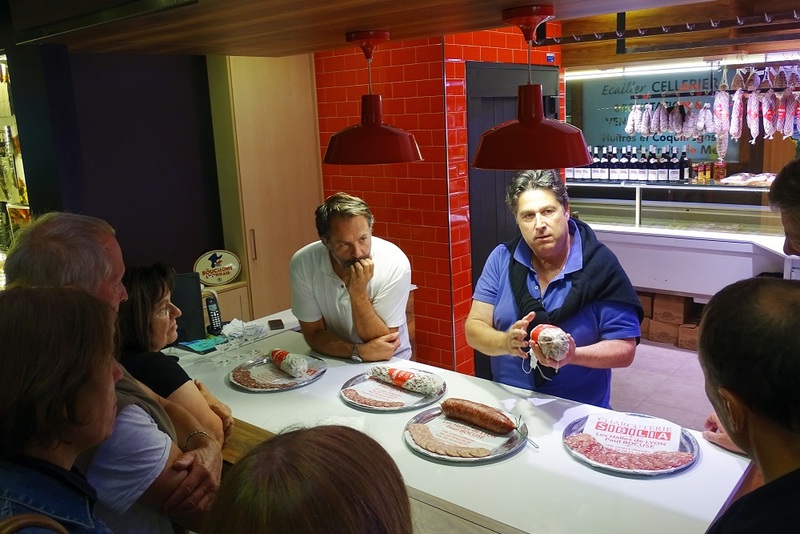 Accompanied by a passionate local guide you will discover the capital of gastronomy during a rhythmic guided visit full of unusual anecdotes and exceptional culinary tastings. 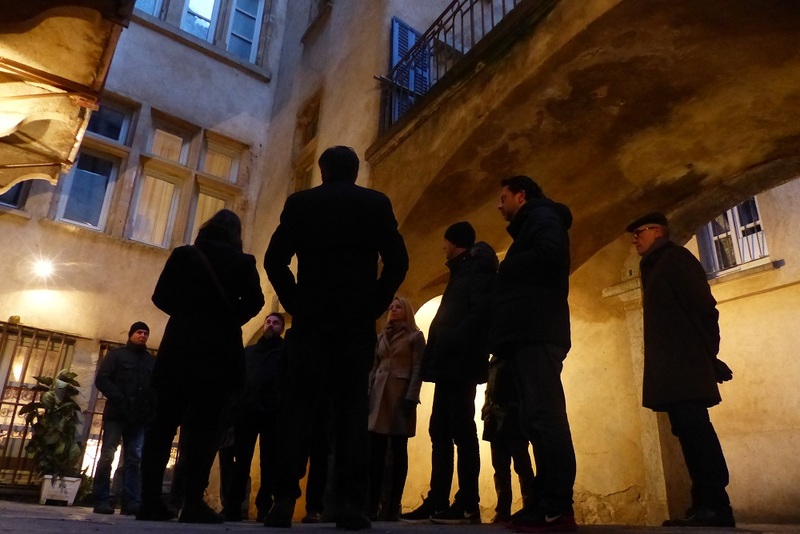 Explore must see places, meet local artisans and taste products that identify with the reputation of Lyon’s heritage. 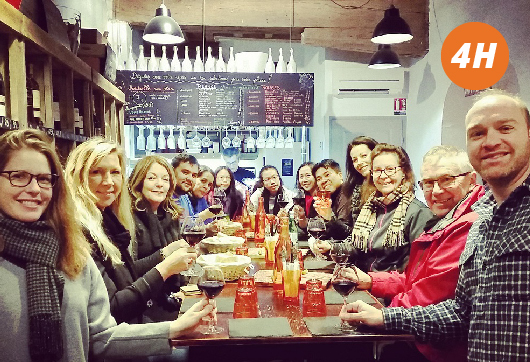 Make your choice between two types of our gastronomic tours and immerse yourself in the heart of a trip that will delight the gourmet who resides inside of you. Explore this alternative district in a gourmet way! All the tips you need for a successful stay in Lyon ! 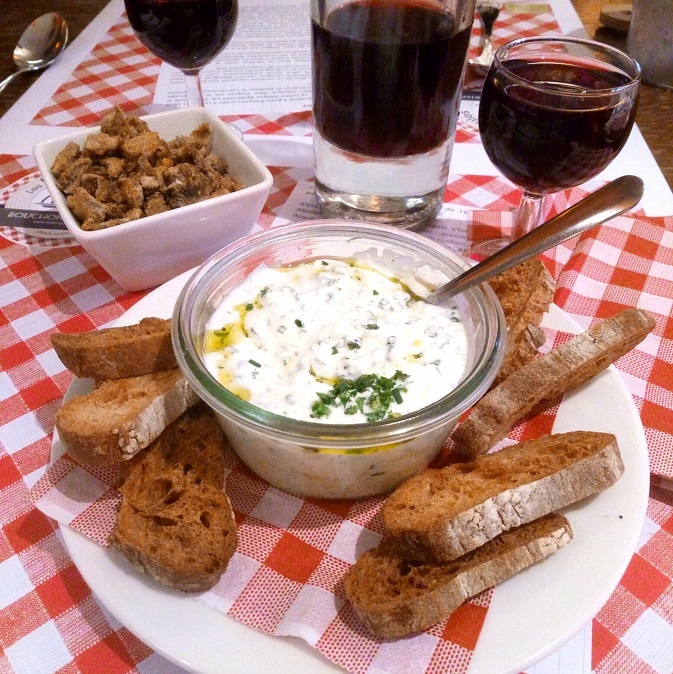 Here we have two quality requirements: Serving a real Lyonnais food and using fresh local products. 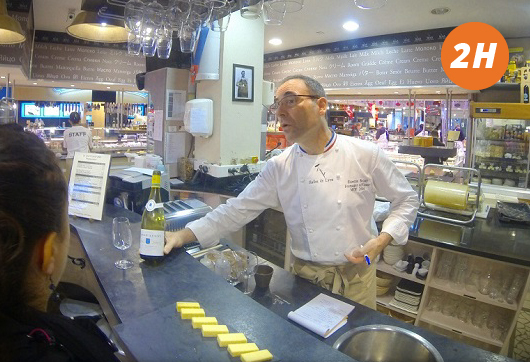 First of all, he studied at the Hotel School of Chamalières and after several experiences in Lyon, Paris and London he had a job at the Paul Bocuse Institute and finally worked 11 years with Paul Bocuse in Collonges as Deputy Director. As a result he is back to the fundamentals of Lyon’s kitchen: Here we peel, we bone, we simmer, in a word we cook “… Enjoy your meal and let you be parched in our beautiful district of Old Lyon! 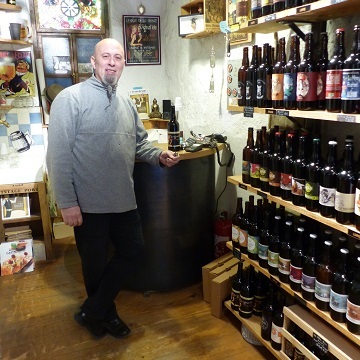 Since 2012 I have my own beer cellar in the heart of Old Lyon. Passionate by this drink, as noble as wine but less known for its tasting. 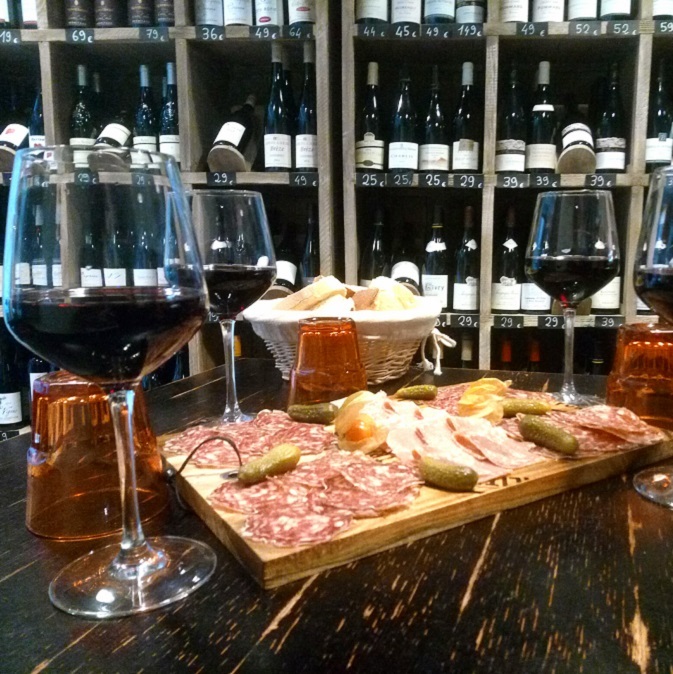 Therefore i decided some years ago to make Lyonnais discover their magnificent region. Lyon is the jewel of beer in France (people do not know!). I rely on the 220 microbreweries, located in four corners of our region, to propose only local artisanal beers to my clients. The adventure of Fabrique Givrée, is that of three childhood friends: Jérémie, Martin, et Hugues. Jérémie, a young expert and offbeat chef spent his early years in the saucepans. But when he was adolescent he chose to be a pastry chef! After 15 years in prestigious houses (Fauchon, le Bristol, Valrhona), in 2012 Jérémie chooses to leave with his sidekicks in search of the ultimate ice cream, putting his mastery of tastes and textures at the service of his unbridled imagination and his love for sharing. Après avoir été caméraman, mais aussi géomètre ou aide-sommelier, Julien a décidé de réunir ses passions. Etant plutôt créatif, manuel et surtout gourmand, j’ai mis tout ça dans un chapeau et Le Luminarium en est sorti. Cela fait plus d’un an que Julien nous éclaire donc le Vieux Lyon avec ses nombreuses ampoules scintillantes qu’il confectionne dans son atelier. Véritable passionné du travail bien fait, il en fait de même derrière les fourneaux. Car oui, Le Luminarium est avant tout un salon de thé gourmand et c’est pour sa tarte praline “fait maison” notamment que l’on a décidé de finir le Food Tour Vieux Lyon ici. 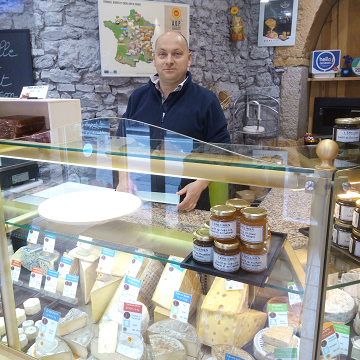 In 1964, Hubert Mons and his wife decided to sell cheeses on the markets of the Roannaise region. 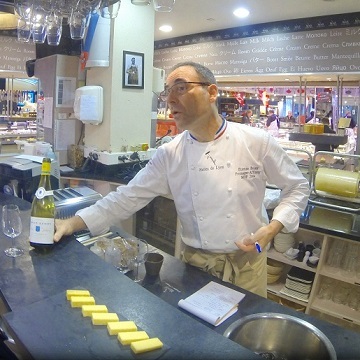 In 1983, Hervé, the eldest son, after a career with the greatest Parisian cheese maker, established the first point of sale at the Halles Diderot. He continues to travel around France in search of the best products, producers who still produce in a traditional way respecting the ancestral know-how. Products which then he refines in his cellars. 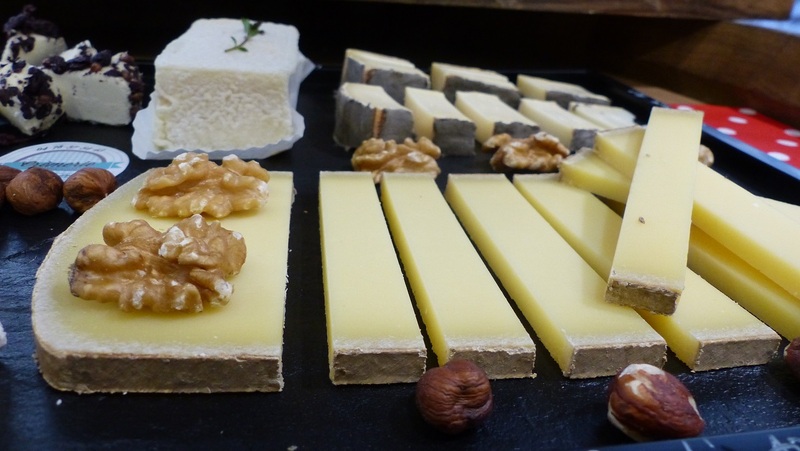 This is why Maison MONS is now the official supplier of the best restaurants around the world and the reference in terms of cheese specialties. 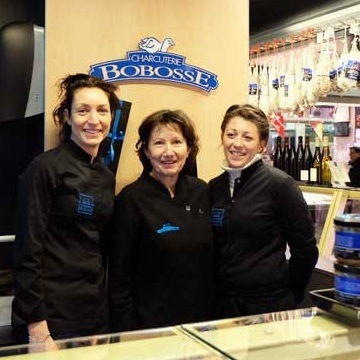 Since the 1960s, René Besson a.k.a Bobosse created a cold cuts shop whose foundations were fresh products, quality and friendliness. 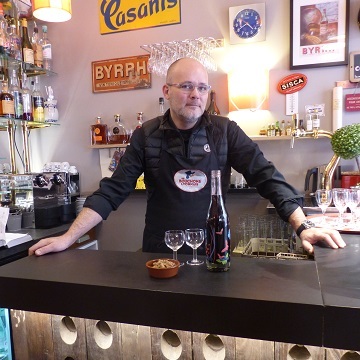 From Lyon’s bouchons to the great Parisian restaurants, to the inns of France and Navarre, this ambassador of St Antoine – patron of the charcutiers – has made known his products, thereby developing the image of the whole Beaujolais region. Of course, the years have passed away, but stringed titled andouillettes, baked sausages and other dishes are the best proof of the well-preserved know-how. In 1938, Alphonse Merle bought the Maison Forte “Oysters and Shellfish” to set up at Les Halles des Cordeliers. 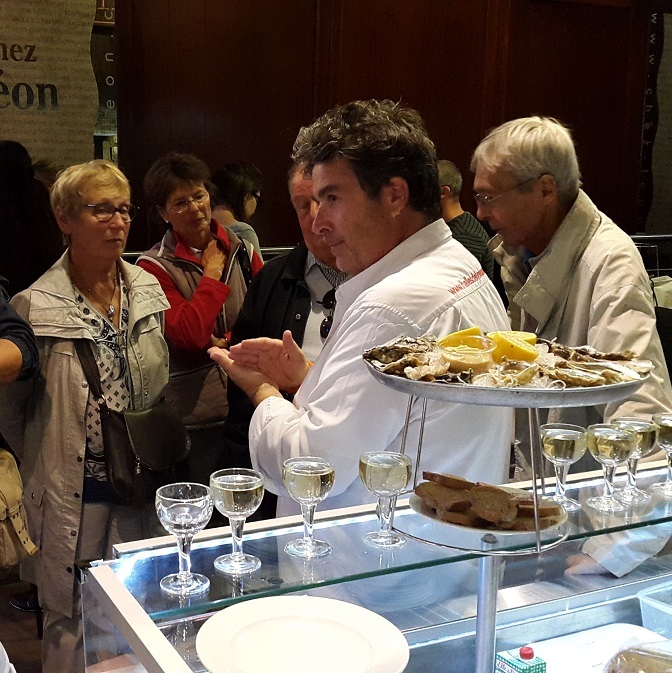 With the help of his son Alain, champion of France’s oyster sellers in 1971, he made possible that the house Merle become the reference for the tasting of oysters in Lyon. In 2005, Alain Merle sold his house to the Lameloise family, owner of the Brasserie Georges. Today, the director Philippe Allard and his Chef, Oyster seller, Romain Masse continue this beautiful story with passion and talent. 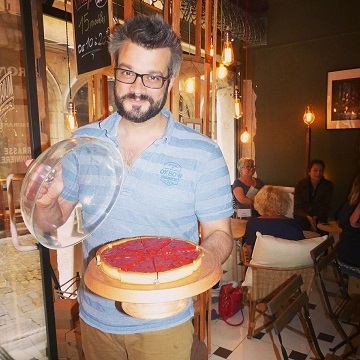 He studied at the Hotel School of Chamalières and after several experiences in Lyon, Paris and London he had a job at the Paul Bocuse Institute and worked 11 years with Paul Bocuse in Collonges as Deputy Director. 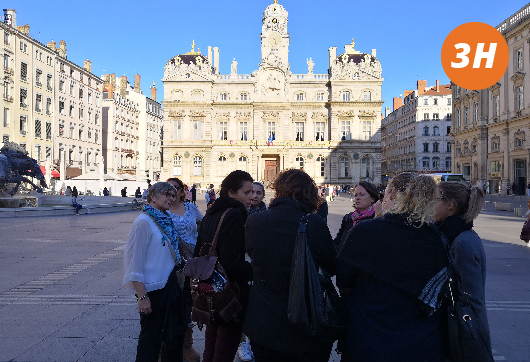 Today he is back to the fundamentals of Lyon’s kitchen: Here we peel, we bone, we simmer, in a word we cook “… Enjoy your meal and let you be parched in our beautiful district of Old Lyon! 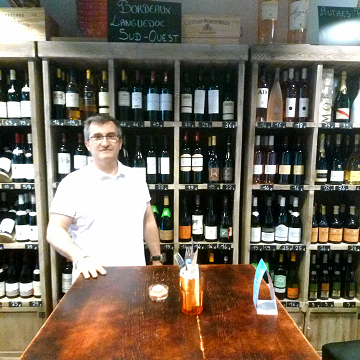 Since 2012 I have my own beer cellar in the heart of Old Lyon. Passionate by this drink, as noble as wine but less known for its tasting, I decided some years ago to make Lyonnais discover their magnificent region. Lyon is the jewel of beer in France (people do not know!). I rely on the 220 microbreweries, located in four corners of our region, to propose only local artisanal beers to my clients. Vieux Lyon Traboulez entre chaque dégustations ! 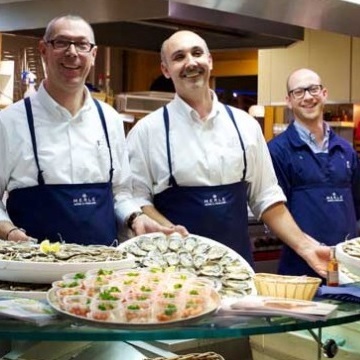 Halles de Lyon Paul Bocuse Des huîtres avec un verre de vin blanc, une tradition des Halles de Lyon ! 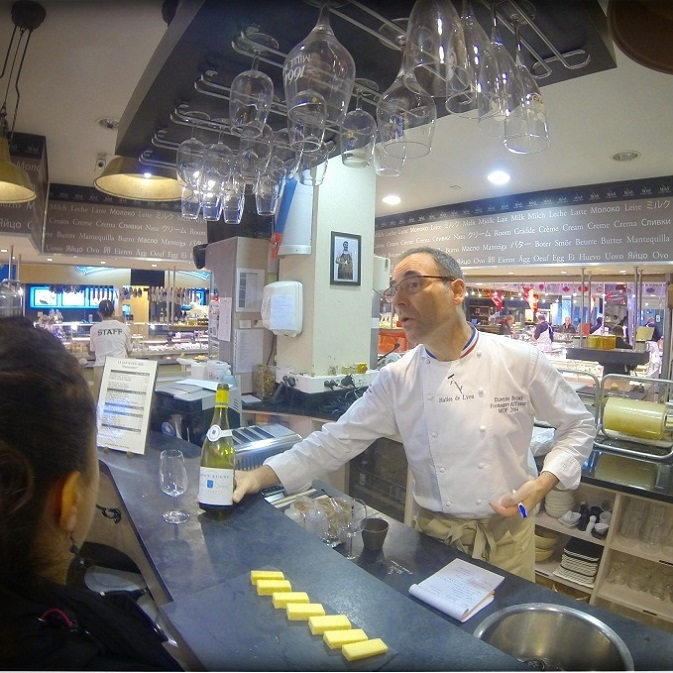 Lyon Food Tour provides personal custom-made formulas for a unique gastronomy moment!